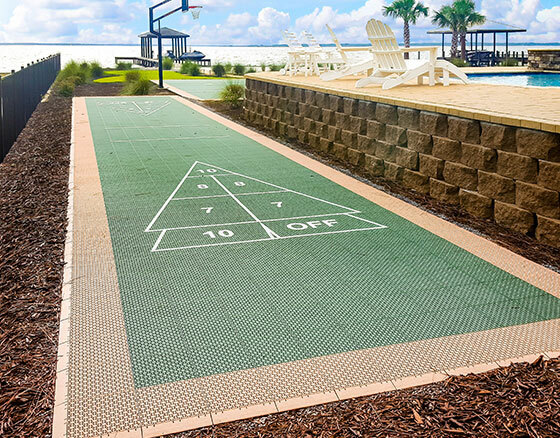 Transforming backyards into more active spaces is one of our specialties at Lanmark Designs. 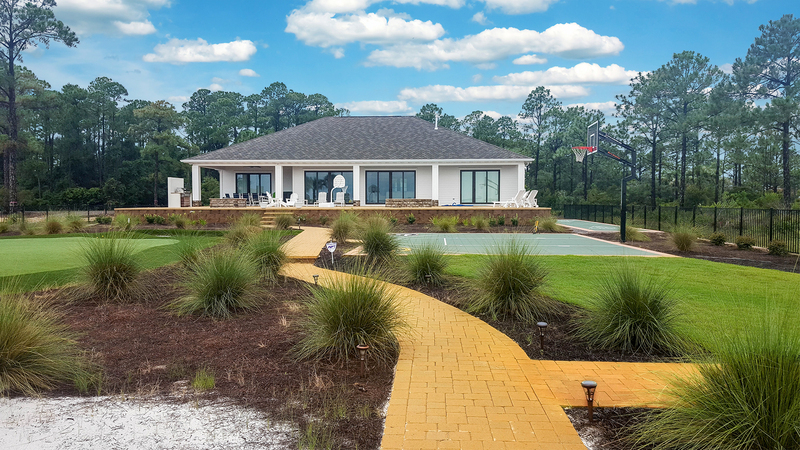 For this seaside home, we blended traditional landscaping with innovative amenities from Tour Greens and VersaCourt to create a space where one could relax and play while enjoying the beautiful scenery. 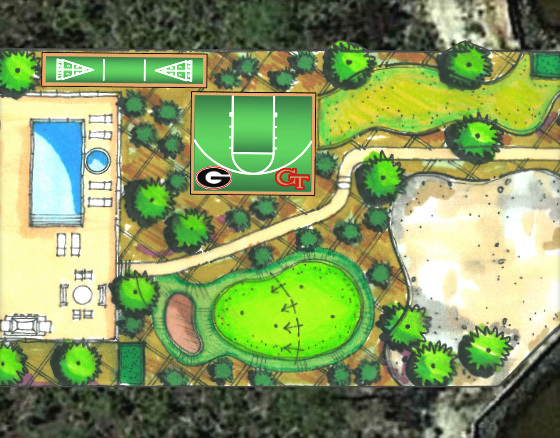 With today's technology, we were able to capture a satellite view of the property and integrate a nice illustration to show the homeowner the transformation of his backyard into a recreational paradise. 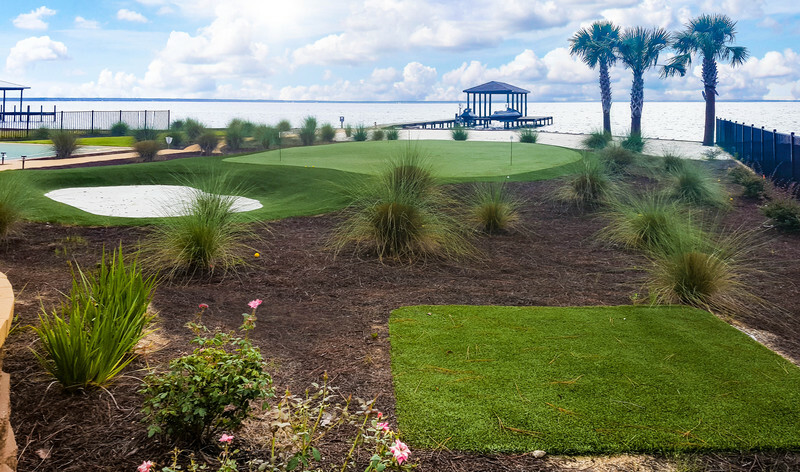 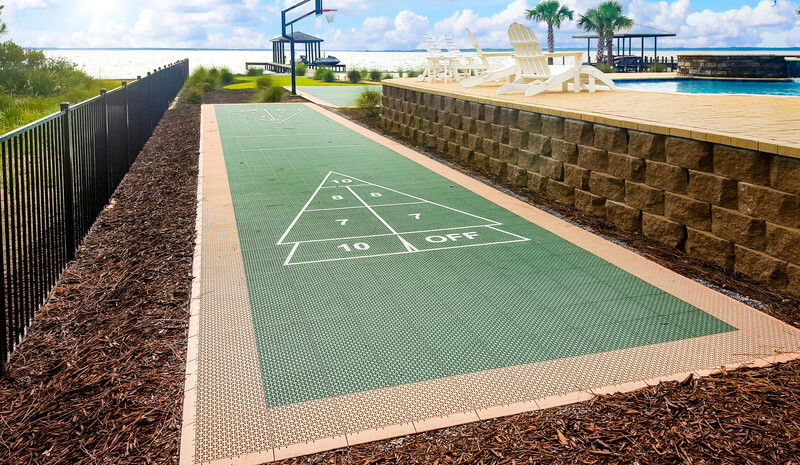 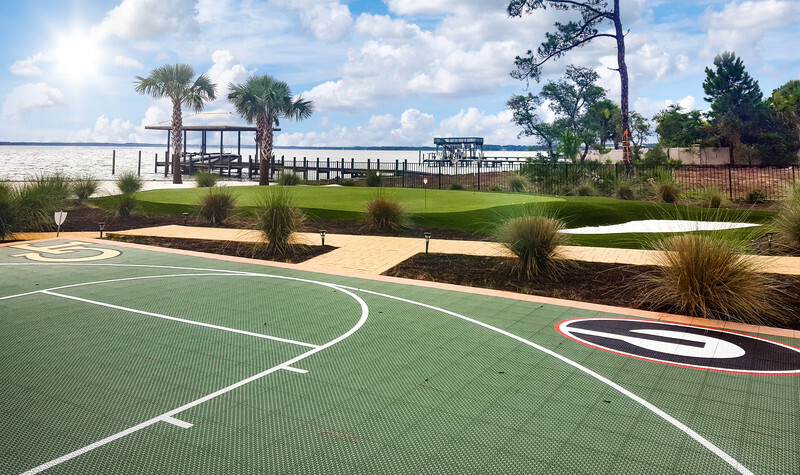 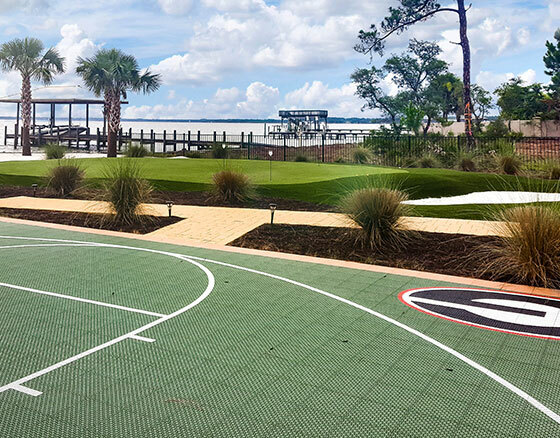 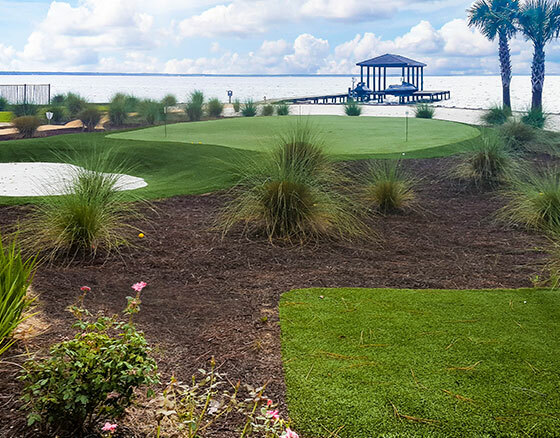 By integrating a Tour Green's putting green with a second cut of turf, a sand bunker and a chipping mat, these homeowners can practice multiple elements of their short games while enjoying their beautiful view of the bay.